* Here's an extra special way to honor an important moment in any child's religious life. 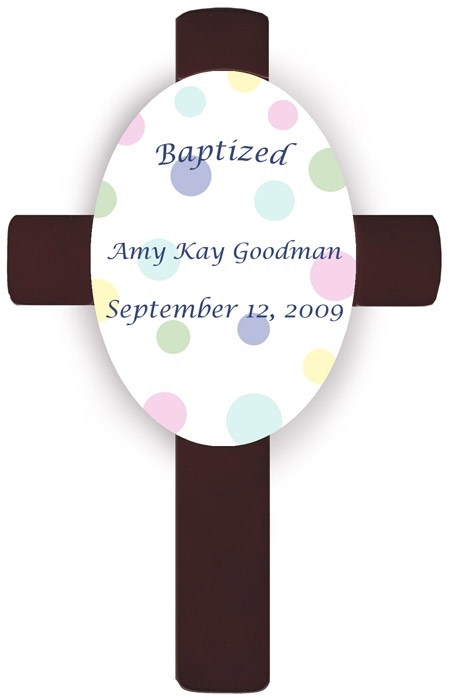 * These children's baptismal/christening crosses are simple yet elegant and bear the name of the baptized and date of the special event. * The oval is available in a variety of pastel colors to match any décor and is displayed on a classic dark cherry cross. * Comes ready to hang.